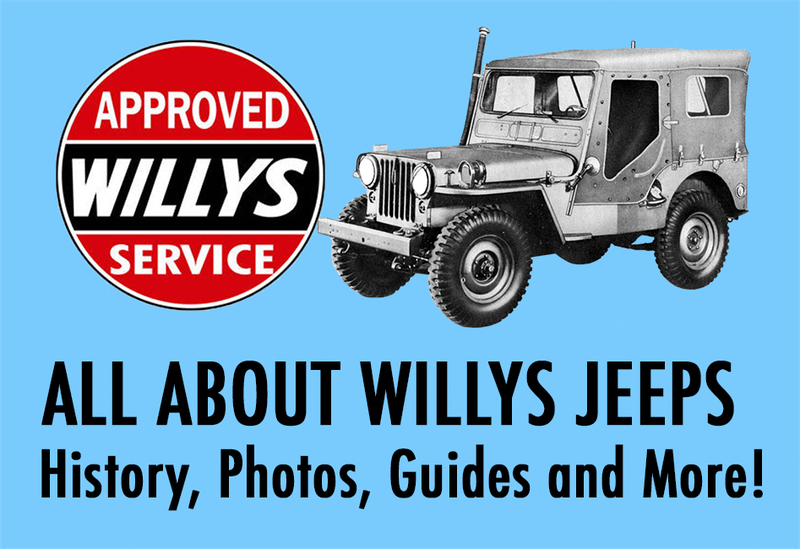 In 1950, Willys introduced the M-38 (identified as an "MC" by Willys), a post-WWII Jeep based on the CJ-3A and fitted will military-specific features, including a one-piece foldable windshield, bottom-mounted wipers, a pintle hook for towing, lifting shackles, and a fuel filler on the drivers side. Pioneer tools (axe and shovel) were mounted on the passenger side, and larger tires were used (7:00x16) along with a waterproof electrical system, requiring a second battery. 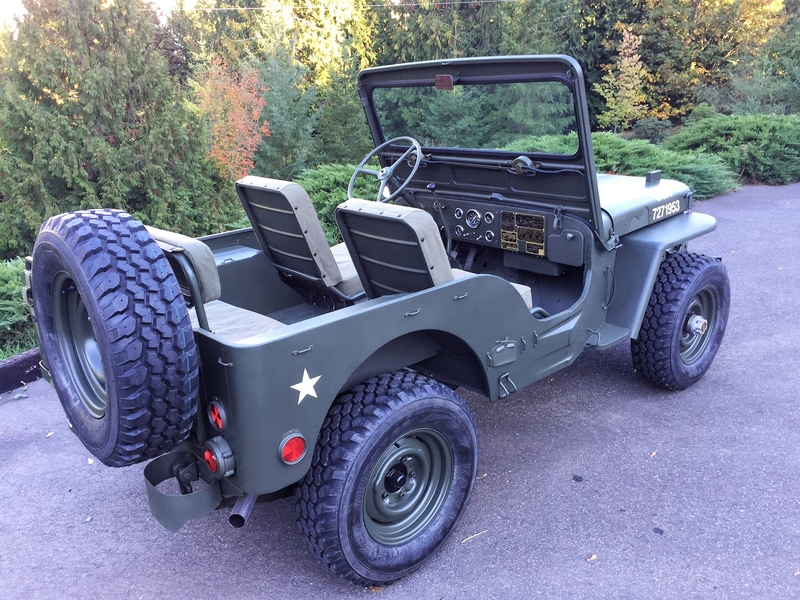 The M38 suspension and frame were stronger than that of its civilian sibling (the CJ-3A) and had a full-floating rear axle. 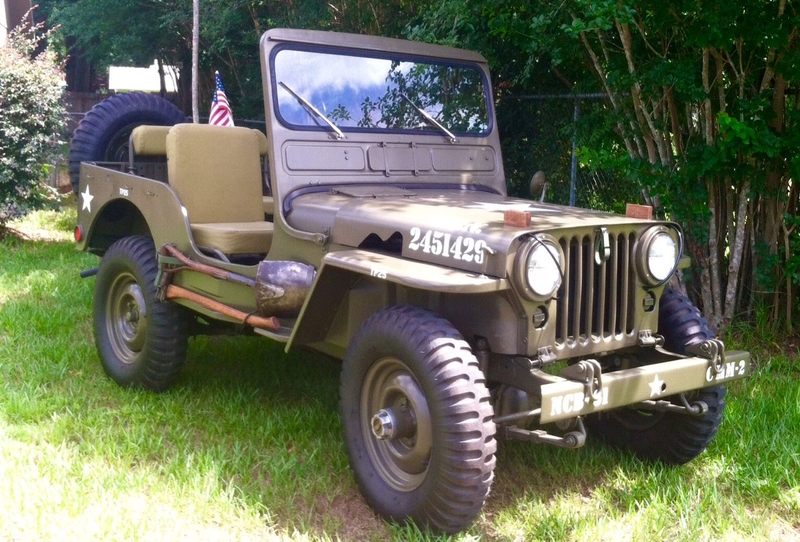 Other distinctive features of the M38 include protruding headlights (with guard wires in front), an air vent in the base of the windshield, blackout lights and notches for various tools. 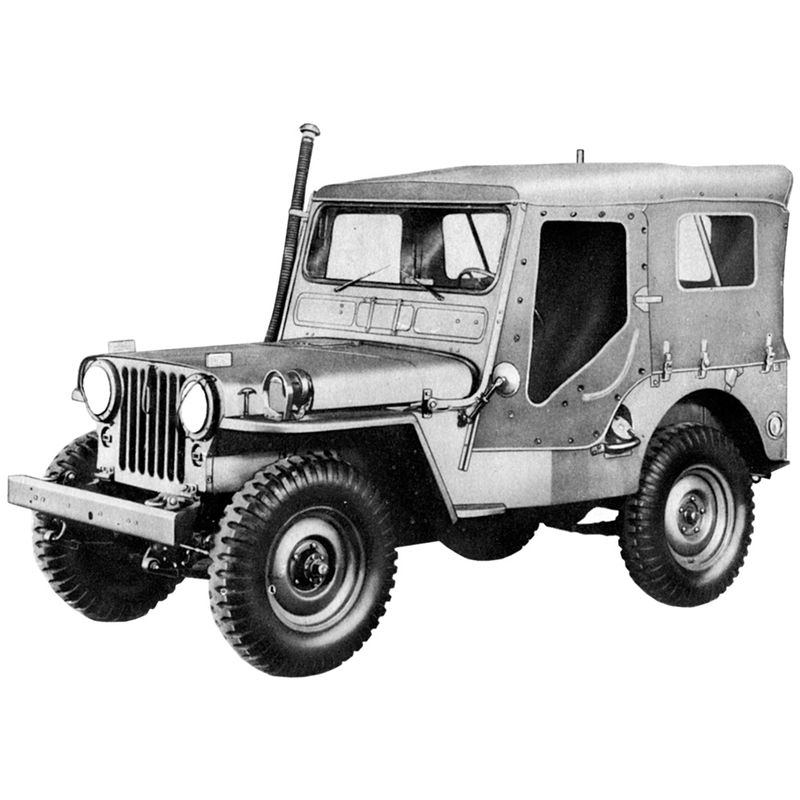 The M38 did not have an outside step (included on the CJ-3A), in order to improve ground clearance. A few M38s were equipped with Ramsey winches (with a net weight of 2,745 lbs). Other M38s were outfitted with wading equipment and a special breathing apparatus to allow for fording in streams. 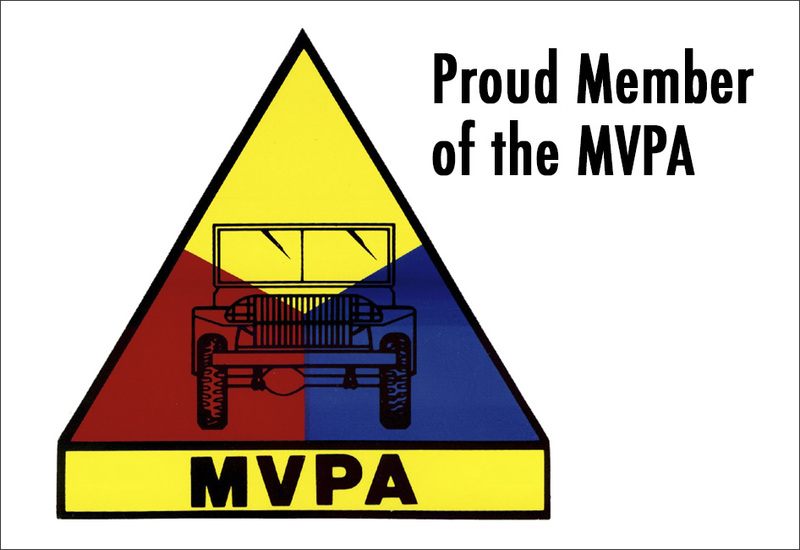 A few M38 jeeps were set up for light dozing and leveling (although a find like this would be rare) with hydraulically-controlled blades. 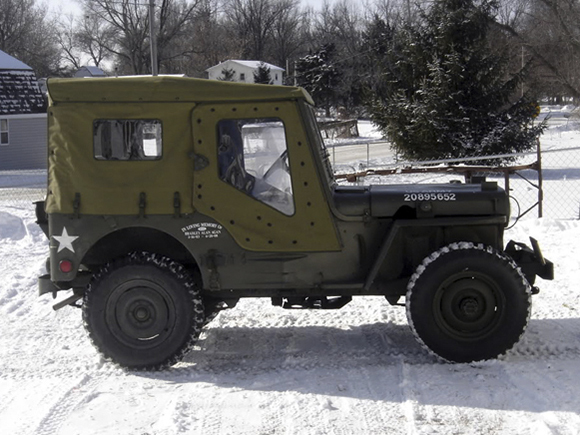 Winterization packages for the M38 included a hard top, all metal enclosure. The M38 continued in production until 1952, when the M38-A1 became the “standard” model of military service, until it went out of production in 1957. 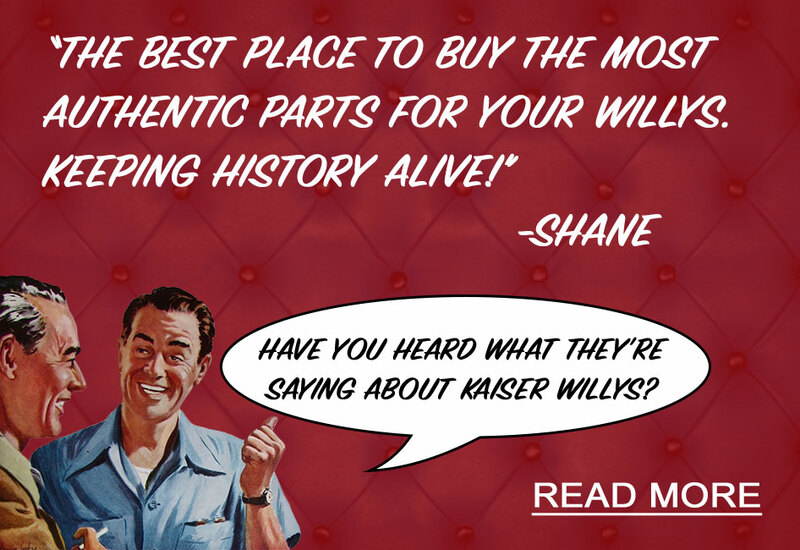 Excerpt from "Selling the All American Wonder - Vol. III"